Stacy Bloom Rexrode is an artist based in the Triangle area, familiar to Charlotte likely because of her recent participation in Gendered, a juried exhibition organized by the Young Affiliates of the Mint. Stacy’s contribution to the exhibition, TAG! You’re It!, is a participatory work currently on view on the Mint’s 5th floor. In addition to working as a professional artist, Stacy is also the Curator of Exhibitions and Collections for the City of Raleigh. SBR: Observations of the domestic sphere and family traditions, histories or objects passed through the generations tend to drive much of my work. Having two amazing teenage daughters has also escalated my need to use my artwork to stand up for women’s rights and their perceived value in our current patriarchal society. I use the constructs of the third wave of feminism in my artwork to hopefully change the dialogue and conversation. Stacy Bloom Rexrode, Quasi-Delft Bequest (series), 2014-17, permanent marker on plastic plates, dimensions variable. SBR: I always knew, but fought the idea of pursuing it as a career for quite a while. Even after pursuing an art education, it took me a while to figure out what artistic path I was going to follow so I wore many creative hats along the way like graphic designer, art historian, gallery director, design/build general contractor and now finally, a working artist and curator. Whew! Stacy Bloom Rexrode, Bound Up In Yours, 2015, plastic grocery bags, yarn and painted artificial flowers, 73 x 21 x 10 in. Stacy Bloom Rexrode, detail, Bound Up In Yours, 2015, plastic grocery bags, yarn and painted artificial flowers, 73 x 21 x 10 in. SBR: I currently have a participatory installation TAG! You’re It! included in the exhibition GENDERED: An Inclusive Art Show at The Mint Museum Uptown on view through July 21st and of course on my website and Instagram @bloomrexrode. SBR: I’m always working on multiple bodies of work at the same time, but they all have common ties to one another. I explore material and cultural hierarchies and the value often assigned to them. My current work on view at The Mint Museum examines how our current patriarchal system values women, or the lack thereof, through responses and personal stories by viewers to statistics surrounding women’s health, reproductive rights and other issues. The response tags are hung on a crochet vine structure, which symbolizes women’s resilience and strength, while using a medium that is often relegated to women’s handicraft. No matter the medium I choose to work in, the conceptual messages are the driving force for me to combine visual art with social practice. Stacy Bloom Rexrode, Luxury Goods, 2016, tampon, Swarovski crystals and velvet jewelry display box, 2 x 8 x 1 in. SBR: For me personally, the most valuable art experience I’ve had since moving to North Carolina from Boston was going back for my Masters Degree in Studio Art at UNCG. Of course every artist that has been in an MFA program can attest to being pushed in new directions they would have never achieved on their own and I absolutely had that experience, but it went way beyond my artistic pursuits. Some of my closest friendships are those with my fellow classmates and former professors that I also happen to revere as mentors and a constant source of artistic inspiration. It also wasn’t a bad gig to have constant access to the Weatherspoon Art Museum and its staff, which is truly the contemporary art gem of the Southeast. 33 x 39 x 6 in. SBR: There is always a stack of them and that doesn’t mean I get to them right away, it’s more like incentive to know they are within reach at any given time. Right now I tend to reach for EXTRA/ORDINARY Craft and Contemporary Art by Maria Elena Buszek, 100 Places Every Woman Should Go by Stephanie Elizondo Griest and Rowing Magazine. 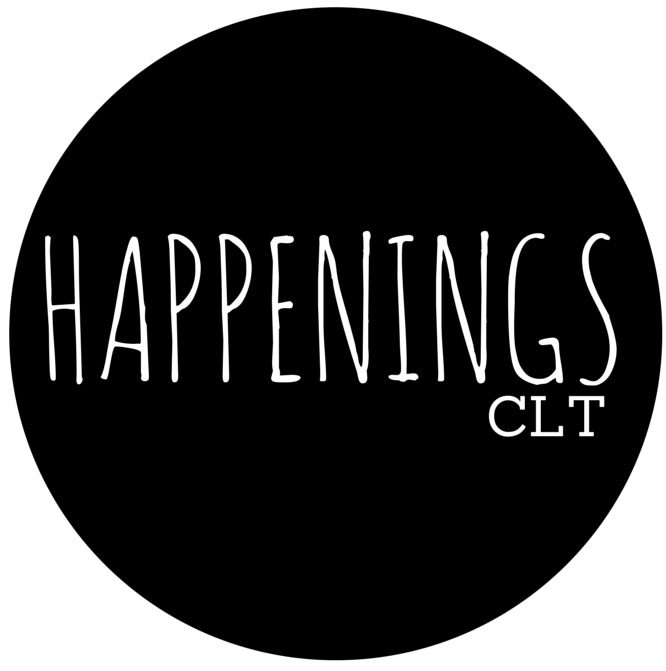 HCLT: Best meal in the Carolinas? SBR: Okay so it’s not exactly a meal, but my perfect weekend indulgence is getting a crème brûlée donut from Rise Biscuits Donuts in Carrboro and then walking around the corner with my family to Gray Squirrel Coffee Company for a latte. Somehow, all is right in the world with this combination. SBR: I’ve purposely not scheduled any shows in the near future after a pretty rigorous exhibition schedule for the last two years. I really need to just be a maker for a while and plan to start a new body of work which will primarily live on Instagram @which1in__. This body of work will use images to build on the staggering statistics surrounding women’s health and reproductive rights that TAG! You’re It! explored. Of course, there are a few other projects going on at the same time that I’ll continue to build on.